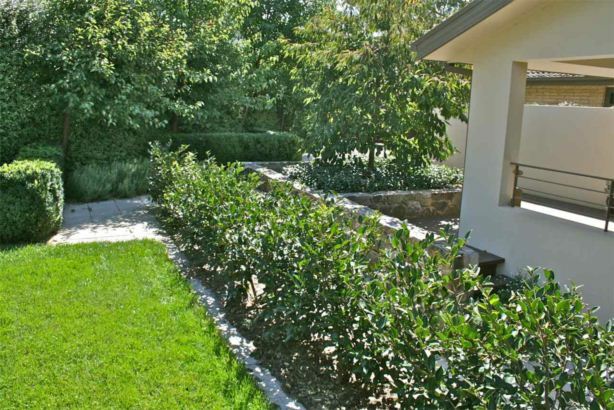 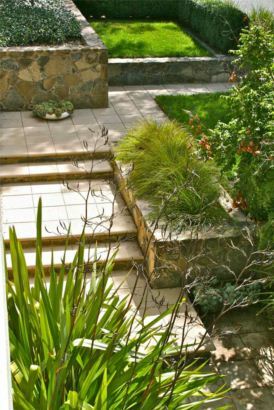 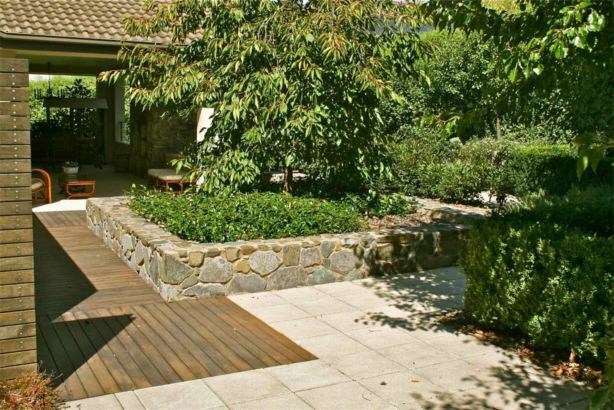 This beutifully renovated home on a large corner block, involved carefull levelling & the creation of many ‘garden rooms’, connected with generous paths, both stepped & ramped. 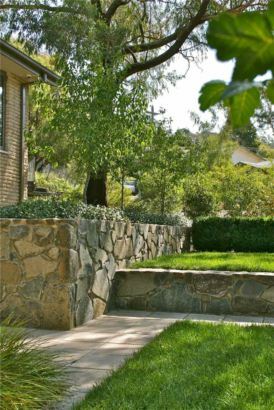 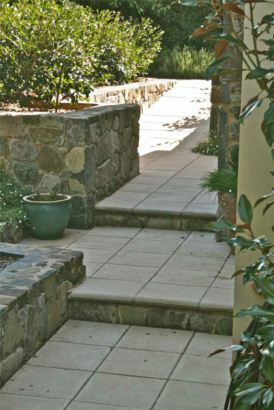 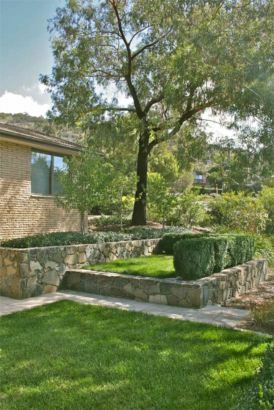 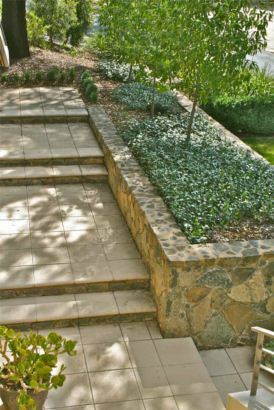 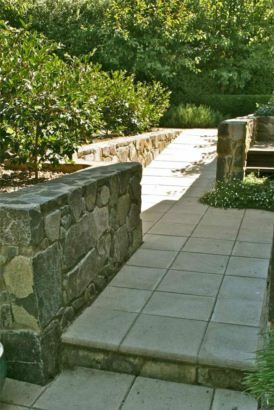 Nimitabel stone retaining walls are used extensively & the ‘Bink’ off white paving provides a neutral contrast with the textured brickwork of the home, the stone & extensive plantings. 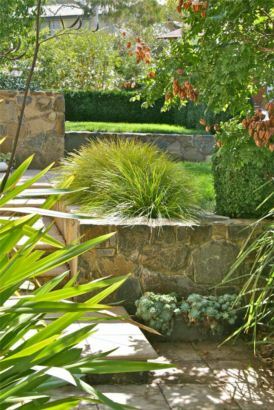 This is a garden constructed by ABC Landscapes, lovingly planted & tended by the owners, that is a lush oasis in this established suburb.